It’s the week Vegas Goes Country, with tons of events surrounding Sunday night’s (4/3) ACM Awards at the MGM Grand Garden Arena. For a recap of the nominees, click here. The fan-voted Entertainer of the Year and New Artist of the Year categories will be chosen by text voting powered by the RAM Truck Brand and online balloting at www.VoteACM.com. The excitement starts with the ACM Concerts at Fremont Street Experience running Friday and Saturday. 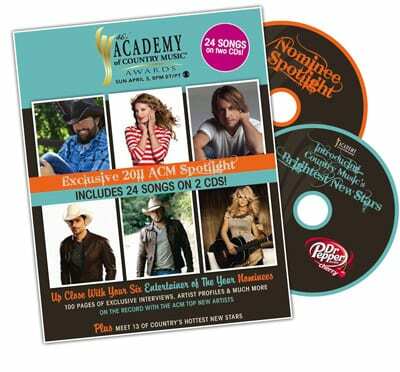 Fan anticipation has been building with sales of the ACM Awards Spotlight ZinePak, a magazine and 2-CD combo available exclusively at Walmart. With a $7 price point, tons of hit and newcomer music, the offering debuted at No. 19 on this week’s Billboard Top Country Albums chart. As for the Awards, Luke Bryan, Chace Crawford, Celine Dion, The Judds and Miranda Lambert have been added to the already stacked presenters list. And expect a performance from every Entertainer of the Year nominee. Blake Shelton, who will co-host the show with Reba, has been making the media rounds this week, visiting E!’s Chelsea Lately, CBS’ The Talk and CBS’ The Early Show. He also shot the video for his new single, which he will premiere on the awards. GAC will be home to the live red carpet arrivals, starting at 7:00 p.m./EST with GAC hosts Suzanne Alexander, Nan Kelley and Storme Warren. Media and fan sites can also host digital content of the televised GAC red carpet pre-show, the “Ram Red Carpet Live! @ The 2011 ACM Awards” pre-show and video-on-demand (VOD). 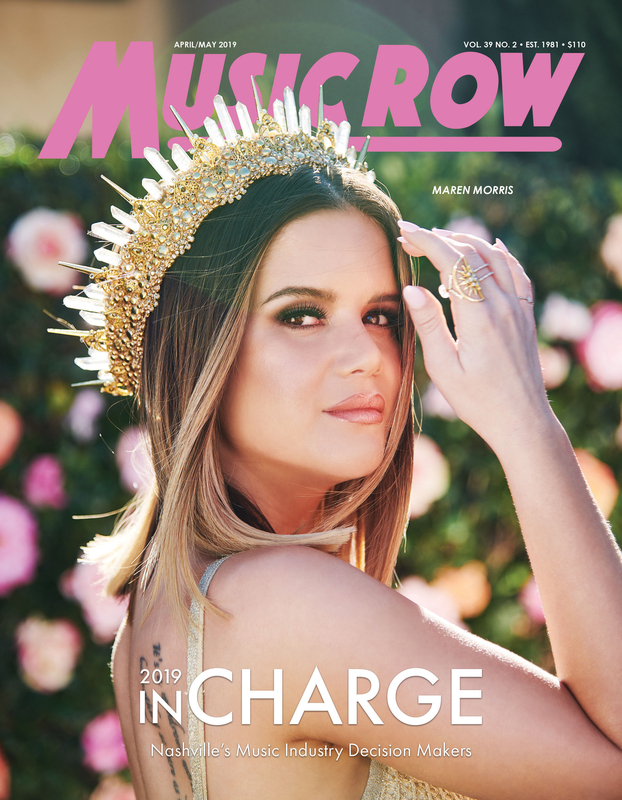 Many artists and members of the music industry will stick around in Vegas following the awards for the Monday, April 4 taping of Girls’ Night Out: Superstar Women of Country, set to air Friday, April 22 on CBS.